On March 16 the President of the United States released his proposed 2018 federal budget. While the proposed cuts to the State Department and Environmental Protection Agency have received much media attention, other important agencies will be affected. Among them are the National Endowment for the Humanities (NEH) and the National Endowment for the Arts (NEA), which provide crucial funding for research, scholarship, and public outreach in the arts and humanities. Many of our professional members, as well as museums and other organizations, have benefited from the support of these agencies. The NEH in particular funds archaeological excavations as well as research and interpretive programs. The proposed cuts to the federal budget will also affect the American Overseas Research Centers (ORCs), which are funded through the State Department’s Bureau on Educational and Cultural Affairs (ECA). 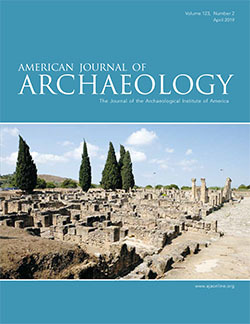 The ORCs are research centers around the world (including in Rome, Athens, Cyprus, Jerusalem, and Amman), which often serve as bases for American archaeological projects. No less important, the ORCs provide spaces for cultural interaction with local communities. Much of my own work over the last four decades has been conducted at the W. F. Albright Institute of Archaeological Research in Jerusalem and the American School of Classical Studies at Athens. These opportunities have also enriched my teaching, through sharing my experiences and research with the students in my classes at home. The NEH and NEA benefit the public as well, as all grant recipients are required to disseminate their findings through publications and other media. This year, for example, I am writing a trade book (aimed at the public) about Masada with the support of an NEH Public Scholars Grant. This support has enabled me to take a leave from teaching, giving me the time I need to write the book. At a time when difficult budgetary decisions need to be made, the arts and humanities are easy targets. And yet, the proposed cuts to the NEH, NEA, and the ORCs will save only a negligible amount of money but have a disproportionately adverse impact. The small government investment in these entities has enabled American scholars to make some of the world’s greatest discoveries: http://news.nationalgeographic.com/2017/03/archaeology-discoveries-neh-us-government-troy-jamestown/. The elimination of this funding impoverishes us all and makes our world a much less interesting place. The arts and humanities are a vital part of our shared heritage across time and space. 1. Make a phone call. All members of Congress can be reached through the U.S. Capitol switchboard at 202-224-3121. 2. Write a message. The National Humanities Alliance has made this easy: click here http://p2a.co/NXhfmlF to send emails to your congressional delegations. Thank you for your advocacy efforts and your support of archaeology and the AIA.